Ebenezer Akwanga is a Cameroonian national who was arrested in 1997 in relation to his political activism. He was held for six years and was tortured. He now lives in the United States. Ebenezer Akwanga was born in Cameroon in 1970. He became a political activist, campaigning peacefully for the rights of the people of Southern Cameroons as leader of the Southern Cameroons Youth League (SCYL), which worked together with the Southern Cameroons National Council (SCNC). In March 1997 he was arrested. For the next six years he suffered a range of serious human rights violations. These included torture, incommunicado detention, and a variety of forms of abuse in prison including being held in grossly overcrowded and unhygienic conditions, lack of proper food and wholly inadequate medical care. These human rights violations occurred both before and after being tried before a military tribunal. As a civilian, the military trial itself was entirely inappropriate and did not meet the minimum requirements for a fair hearing. In 1999 he was sentenced by the military tribunal to 20 years in prison. In 2003 he escaped to Nigeria and from there, after some 30 months, he was re-settled in the USA where he lives today. 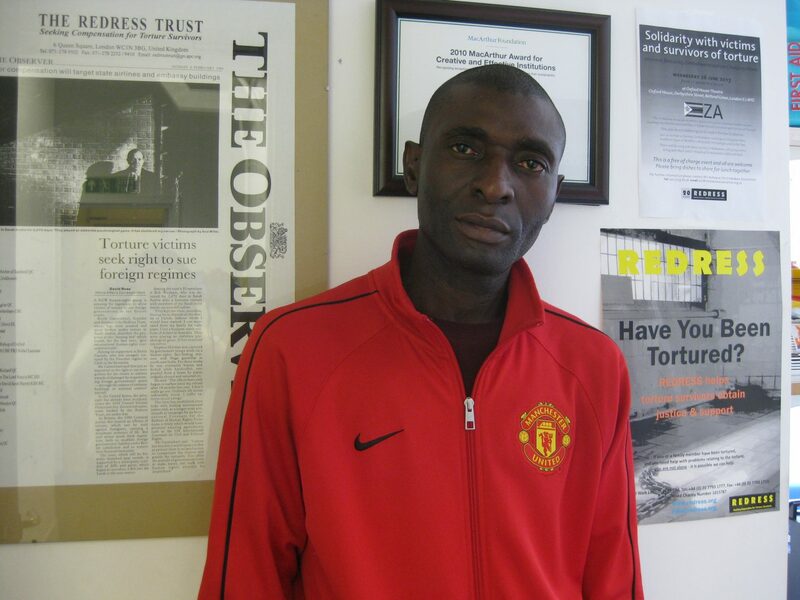 In June 2008 REDRESS lodged a petition on Ebenezer’s behalf with the UN Human Rights Committee (UNHRC) for multiple breaches of the International Covenant on Civil and Political Rights (ICCPR), including torture, over the period 1997 to 2003. In July 2009 Cameroon filed a response arguing that the case was inadmissible and also contesting it on the merits, to which REDRESS replied on Ebenezer’s behalf in September 2009. In a unanimous decision made on 22 March 2011 (and published on 12 May 2011 in French, and 19 May 2011 in English) the UNHRC upheld the petition brought by REDRESS on behalf of Ebenezer against Cameroon. The petition averred multiple breaches of the ICCPR. All 15 members of the UNHRC found that Cameroon had breached Article 7 (prohibition against torture); Articles 9(2) (failure to inform reasons for arrest), 9(3) (failure to bring detainee promptly before a judge) and 9(4) (denial of habeas corpus); Articles 10 (1) (failure to treat with humanity and respect for a person’s inherent dignity) and 10(2) (failure to separate an accused person from convicted criminals); and Article 14 (failure to have a fair trial). Cameroon had six months to submit to the UNHRC details on the measures taken to ensure Ebenezer an effective remedy for the breaches, including a re-examination of his conviction under the guarantees in the ICCPR and an investigation into the facts; it must also ensure the prosecution of those responsible for the breaches, as well as appropriate reparation and specific compensation. Cameroon was also obliged to ensure similar violations do not occur in the future. Further, six members signed an additional separate opinion stressing that military tribunals should not in principle have jurisdiction to try civilians, and states should explain compelling reasons or exceptional circumstances forcing them to depart from the principle if they give military tribunals competence to try civilians. One other member in his own separate opinion went further and said the trying of civilians by military tribunals is incompatible with Article 14, and that the UNHRC had lost a clear opportunity to affirm this. In February 2012, Cameroon made its Observations on the Views to the UNHRC, to which REDRESS responded on behalf of Ebenezer in March 2012. The Observations showed that Cameroon had yet to take measures to implement the UNHRC’s Views. The UNHRC asked Cameroon to respond substantively. Cameroon responded to the UNHRC on 19 June 2014. On 31 July 2014 REDRESS made a further submission to the UNHRC to push for full implementation of the UNHRC’s Views in the case. On 15 October 2014, REDRESS sent an individual communication concerning the case to the Special Rapporteur on Human Rights Defenders, copied to the Special Rapporteur on Torture and the UN Human Rights Committee’s Special Rapporteur on Reprisals. There has been no further progress to implement the UNHRC’s Views in this case. In September 2017, REDRESS sent a Shadow Report to the UNHRC analysing Cameroon’s failure, in the majority of cases (not just in Ebenezer’s case), to take concrete steps to implement in full the UNHRC’s Views in similar cases.